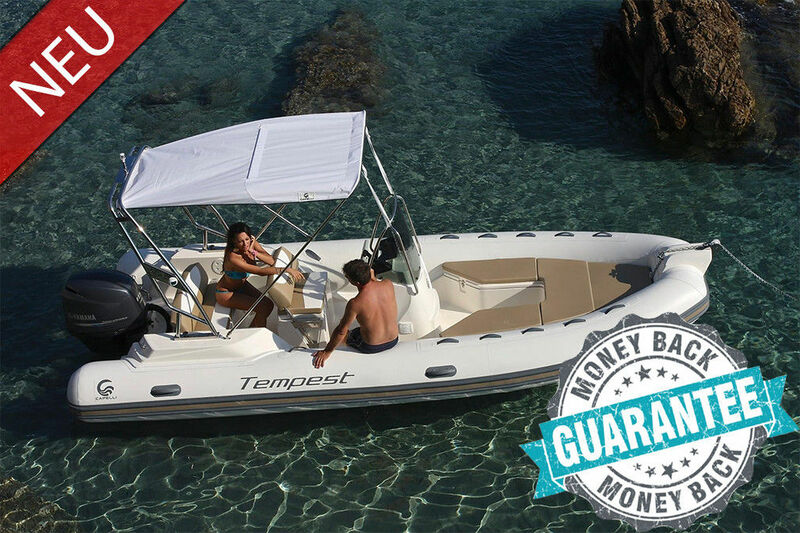 If you are at least a little worried by the thought that something may go wrong during your vacation with a rented inflatable boat, take a look at our trustworthy opportunity, and use its benefits already in this summer. The answer is very simple! We have decided to make a brave move and most likely we are the only charter company in the Adriatic offering this service. 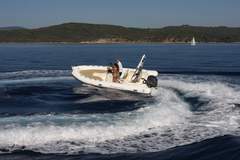 We are professionally involved in chartering of inflatable boats for more than 10 years and believe, we have established our brand name in the market. Our boats were used by many of you and by 600 families, groups or friends. As you may probably know, we offer excellent new boats and motors. What you don't know is that we strive to keep each part of the boat perfected to the highest possible level and extensively tested in harsh conditions. If you are at least a little worried that something may go wrong? Boat chartering is a huge responsibility. 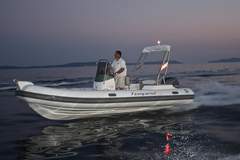 As a user you have the right to expect the boat to operate perfectly during your rent and take you and your family and friends safely to your home port. As a charter company our wish is our customers to enjoy their holidays on our boats to the most extent and of course to handle the boats with due diligence. 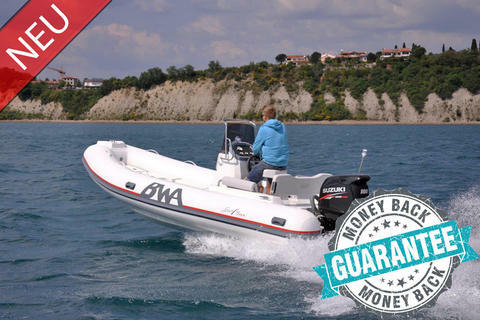 Because we believe in our work and carefully prepare the boats, for the forthcoming season 2019 we offer you the MONEY BACK GUARANTEE. Our clients who rent a boat for at least 7 days and are not satisfied with the boat or our services are entitled to claim back the whole price of the charter! MBG. We trust you, you trust us! Anything to add? The reservations are filling up quickly. Take advantage of a tremendous opportunity and charter your boat on time. 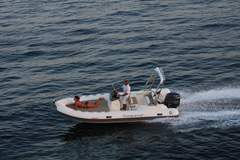 • Charter of inflatable boats is scheduled for weekly or weekend charter. 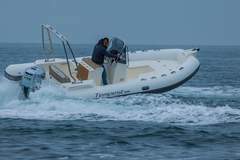 The Capelli Tempest 600 is a new member of our fleet. 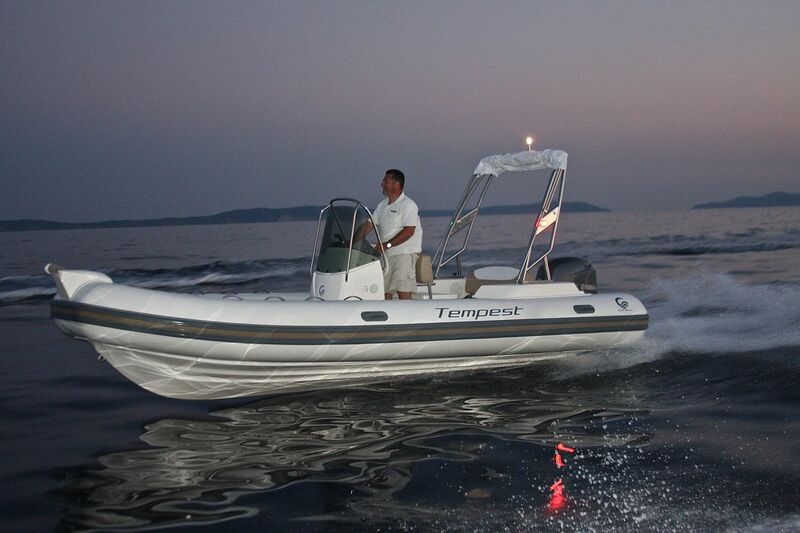 Tempest 600 is a 5.9 metre-long inflatable and is suitable for transporting 8 people. The Honda 135 engine is the optimal choice of propellant, as it is very fuel-efficient, runs at a quiet hum and can reach an enviable speed of 40 NM. It is ideal for water-skiing, tubing and visiting remote beaches. It offers plenty of space and excellent operating capabilities. The boat included in our offer is equipped with all the mandatory equipment and has all the necessary permits in order. With the boat’s cool design, your presence will definitely not go unnoticed.